There are two broad views on our newly resurgent global bubbles--the increase in asset prices in emerging markets, fuelled by capital inflows, with all the associated bells and whistles (including dollar depreciation). These run-ups in stock market values and real estate prices are either benign or the beginnings of a major new malignancy. The benign view, implicit in Secretary Geithner’s position at the G20 meeting last weekend, is most clearly articulated by Frederic (Ric) Mishkin, former member of the Fed’s Board of Governors and author of "The Next Great Globalization: How Disadvantaged Nations Can Harness Their Financial Systems To Get Rich," in the Financial Times this morning. In other words: Keep monetary policy right where it is, and don’t worry about financial regulation. The second view is much more skeptical that “benign” bubbles stay that way. Remember that most damaging bubbles--or debt-based over-exuberance, if you prefer--during the past 40 years have involved two elements. 1. Borrowers in emerging markets (Latin America and Eastern Europe in the 1970s; Mexico in the early 1990s; Russia, Ukraine, East Asia, Brazil and many others in the early-mid 1990s; Eastern Europe in the 2000s). 2. Citibank (and its descendants), i.e., a bank that was large and global before any other U.S. institution was so inclined. Rather than bringing us the wonderful benefits of financial globalization, Citi has almost failed at least twice--and been rewarded for its incompetence with gold-plated bailouts at least four times. Of course, other banks from other countries have become involved at various moments, but the point is that the lending organizations behind every bubble come from more “developed” financial markets--even when the origin of the capital flows is elsewhere (e.g., recycling oil surpluses in the 1970s). And the borrowers are always in places where the rules become lax during a boom--in this sense, the U.S. became just like a classic emerging market after 2001 (and arguably earlier). 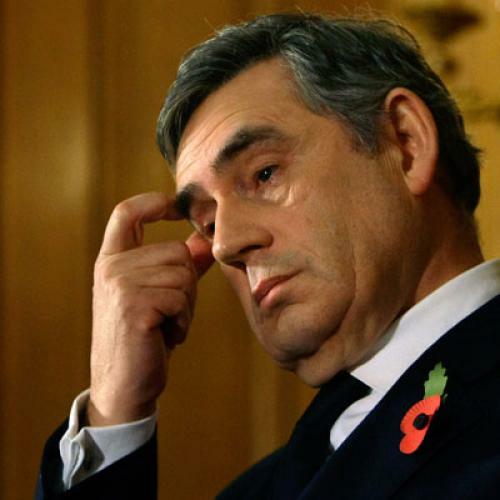 After months of painful procrastination, Gordon Brown has finally recognized that Adair Turner--head of the UK Financial Services Authority (FSA) and astute critic of Big Finance--is on to something in this regard. Brown knows full well that such a tax is unlikely to get traction in the current environment, partly as it would be hard to implement (i.e., the scope for evasion through off-shore financial centers is enormous). But the point of his announcement was to shock and awe finance ministers--and this worked. Secretary Geithner was provoked into uncharacteristically sharp pushback, which came across as the sort of rebuke that a minister of finance seldom directs at a head of government. Brown and his team have at last understood that reining in the financial sector needs to be front and center of the international agenda--and the troika structure of the G20 allows them (as outgoing chairs) to keep this issue hot. It also provides political cover for the IMF, which is working hard on a tax for “excess risk taking” in finance. Dominique Strauss-Kahn (head of the IMF and leading candidate of the left for the next French presidential election) astutely provided more details in the aftermath of the Brown remarks--thus making it harder for the U.S. to oppose the IMF technocrats (and the French), who now seem so very moderate compared to Brown. And how we will measure “excess risk taking”? Volumes of technical papers are being written, much math has already been wasted, and ponderous reports will soon appear. But, at the end of the day (which is the G20 summit in June 2010) there is one central criterion around which you can get your hands: size. Bigger banks pose more system risk, mega-banks pose the most risk, and all bubbles can quickly go bad in the presence of such gigantic institutions. They must face appropriately higher taxes--in fact, so high that the biggest voluntarily break-up in anticipation. The ideas underlying Bernie Sanders’s bill are becoming mainstream.